Marco Rubio is just as tired as you are of the ubiquitous commercial where a man in blue scrubs urges families beset by drug addition to call for treatment options. As Congress seeks to stanch an ongoing, nationwide opioid crisis, the Florida Republican is trying to crack down on companies that make money every time a distressed parent or family member tries to find a drug treatment clinic to help a loved one become clean. Rubio is set to introduce a bill in the next two weeks that prohibits drug addiction call centers from making money off every patient referral without verifying whether the treatment provider is reputable, and changing the system to reward companies that have a track record of getting people clean. Currently, call companies can receive a small commission from the treatment centers for every caller they send their way, about $50, a pittance when various treatment clinics can reap $40,000 or more in insurance claims when someone goes through treatment for drug addiction. Unscrupulous treatment clinics can also tap into insurance money by routing addicts to labs that charge thousands for routine drug tests. The labs and "sober homes" where addicts reside while in recovery then get a cut of the insurance money in what amounts to a kickback. Rubio said the current system treats addicts and their insurance plans as cash cows.calls to clinics aren't concerned with the patient's specific needs and best path to recovery. 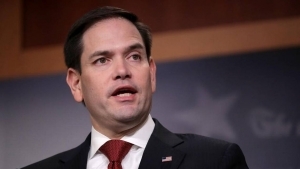 "Too many Americans suffering as a result of the opioid epidemic are exploited by illicit actors seeking to make a profit from addiction," Rubio said in a statement. "My bill will help stop the cash flow for middlemen involved in illicit sober homes and paid referrals. I remain committed to addressing this important issue that has left no part of the state untouched." The kickbacks for government-run insurance plans like Medicare and Medicaid are already illegal. Rubio's bill would extend the anti-kickback provision to people who have private insurance, including Obamacare plans. "The federal government has not done enough because this problem continues to be enabled and exacerbated by well-intended federal policies," said Palm Beach County state attorney Dave Aronberg, who has set up a task force to investigate the drug addiction recovery industry that flourishes in South Florida. Aronberg said Obamacare classified drug addiction as an "essential health benefit," meaning private insurers are obligated to continue paying out for people in drug recovery centers. The policy was supposed to help people in need from being kicked off an insurance plan because of their addiction but also incentivizes recovery centers to keep addicts in recovery because insurance companies are obligated to keep paying out. "It's called the Florida shuffle," Aronberg said. "The federal government needs to turn off the spigot. We need rehab because you cannot arrest your way out of the problem, but the rehab must be legitimate. Currently, the laws have reverse consequences where relapse is incentivized." Ending the Florida shuffle requires a multi-pronged approach, Aronberg said. Changing incentives to reward recovery centers that help drug addicts become clean, enacting standards for sober homes to allow local law enforcement to police them, expanding the jurisdiction of federal authorities to go after kickbacks and combating marketing fraud by companies who use deceptive practices to lure patients are four areas where lawmakers in Washington can pass legislation to change the current system, Aronberg said. Rubio's office said Aronberg and chief assistant state attorney Al Johnson were the people who brought the issue to Rubio's attention and the pair testified before Congress last year. Earlier this year, Rubio and Florida Sen. Bill Nelson introduced a bill that would publicize red flags associated with sober homes like high levels of recidivism, and giving local law enforcement the ability to investigate and shut down homes that don't provide a safe recovery environment for addicts. "There should be no financial relationship between the sober home and the treatment provider," Johnson said. "In creating this out-of-network bonanza you open up the door to these fraudsters to grab a hold of the patient and then it's open season." Rubio's bill wouldn't end the practice of referrals for drug addiction treatment, and his office said the bill does not prevent "reputable organizations from making referrals to other reputable providers." But in a state where 4,728 people died of drug overdoses in 2016, according to the Centers for Disease Control and Prevention, and thousands more sought help for their addiction, Rubio and Aronberg argue the current system needs to be overhauled. Senate Majority Leader Mitch McConnell said passing opioid-related bills will be a priority for the U.S Senate after he canceled August recess, and Rubio's legislation could be part of a large package of bills similar to what the U.S. House passed last month. "When policymakers in D.C. say more money for rehab, that’s part of the solution, but you’re also throwing more money at the rogue providers who will kill people," Aronberg said. "It's been a long time coming but hopefully these bills will move."